Causes, facebook, MySpace, et al suffer from the same afflictions regarding fundraising: the difficulty of the process, cost of transaction and lack of meaningful connection for the giver to any result. The basis of solution I believe is the Individually-controlled / Commons-Dedicated Account for both charity AND political contribution along with improved systems for geographically-based online association via secure mechanisms of identification similar to those used on dating sites. The resulting distributed network should be publicly owned. The PowerPoint "Fixing Big" (you'll see an embed at blog) touches briefly on how this applies. Demo is Chagora if interested in trying a barebones demonstration. Seems like more evidence of Causes not 'getting it.' Worse, when it proves difficcult to drive results or bring about change (because, as we know, it takes a lot more than technology to have an impact), they pack up and move along. Causes should understand that the limits on their ability to engage groups and drive action won't be improved because they are on one social network or another. The challenge remains internal at Causes in my view, that they don't have the undersanding or commitment to real change, but rather a desire to build tools and a belief that is enough. Those who use Causes, nonprofits and individuals alike, need to embrace the same reality - change is hard, technology can help to speed and scale efforts, but at the end of the day, investing, understanding and committing to real change is hard, requires patience, and that will never change. It's disappointing on a number of levels that Causes abandoned MySpace, but more than anything, what is frustrating is that it sends a message that it's the platform that is the problem, that the tool is still enough - and while that is not only wrong, it will keep nonprofits, fundraisers, activisits, looking for functionality and not at everything else that is needed for change. If you want to nurture MySpace users more effectively (now that FB Causes is no longer), I would suggest moving to SocialVibe, which is a much younger audience than Facebook Causes. It incorporates games and point system that would lend itself to MySpace. And it doesn't take allowance from kids for them to have real financial impact. That being said, I love FB Causes on Facebook, but they should of gave a bit more warning on this change. Ryan: Looks like a good opportunity for SocialVibe . Well... I never used Causes much on MySpace because honestly it was poorly designed and seemingly just rushed and thrown on MySpace. I think it is more valuable to have a "Donate Now" button on your MySpace page or fundraising widget that "Friends" can grab and share. And in general, the MySpace community is pretty much the polar opposite of Facebook. People on MySpace aren't that into Apps except maybe Mafia Wars. They much prefer to copy and paste widgets, banners, etc. 180,000 people that added the App isn't really that many at all considering that MySpace has 60+ million active users. Most likely, people added the Causes App and never used it... just like Causes said. Inactivity. Causes was poorly executed on MySpace and Apps just aren't used on MySpace like they are on Facebook. So, Cause dropping MySpace really isn't much of a loss. Tech errors were constant and tech support was pretty much non-existent in my experience. Good try I guess, but Causes would have done much better on MySpace as a widget. 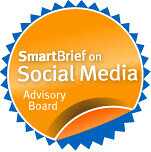 Also, for the Nonprofit Admins on MySpace... it's much easier to engage supporters through blogs, bulletins, wall comments, status updates, emails, (most of this only visible in the MySpace backend)... where as on Facebook Pages you are pretty much limited to Status Updates... so engagement tools on MySpace Apps are not necessary where as they are on Facebook. Again, Facebook and MySpace are pretty much polar opposites in every way possible. Apples and oranges. I think you said it best... they could have been more sensitive about it... but in general Facebook folks aren't very nice when it comes to MySpace. My guess Causes never really wanted to be there, probably were not MySpace users themselves (thus didn't know the community and launched an App instead of widgets), but they felt they should be there since it is so large. But I am sure they much preferred the Facebook community and put all their resources there. Thanks for the nice post. I love MySpace. I would not be where I am today had it not been for MySpace. I am not sure about it's future (big focus on mobile), but the community is still very large and very active... despite what we read on Mashable, RWW, TechCrunch. Crazy how people (who don't use MySpace) really love to hate it. :) Lately Mashable, RWW, TechCrunch have been much kinder about MySpace and it's users... probably since the class (and race) data came out. Take care! Wow, that's pretty ridiculous that Causes just dropped MySpace without statistics. Although, I find it difficult to believe that the organization hadn't looked at specific user interaction. Regardless, Causes shouldn't be closing off any markets since they are supposed to be interacting with them for the greater good. I was always frustrated that I couldn't find either of our 2 causes to promote on our own myspace account. I couldn't find the reason why ours wasn't appearing either. So I just gave up.